For many of us on the Gulf Coast, Abita was the original craft beer, long before Alabama laws were relaxed to allow for the development of our now-thriving microbrewery industry. 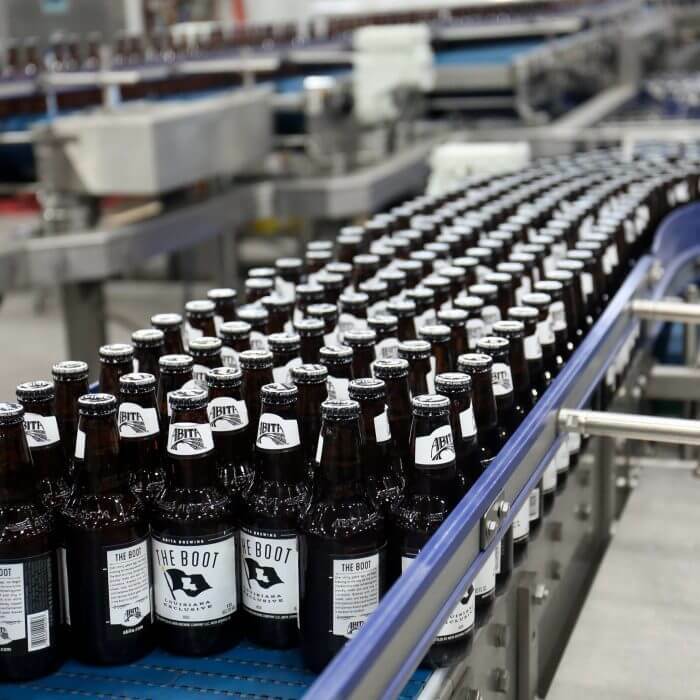 Founded in the tiny hamlet of Abita Springs, Louisiana, the Abita Brewing Co. has been creating a host of distinctive brews for three decades, from perennial standbys Turbodog and Purple Haze to seasonal favorites such as Peach Lager and Mardi Gras Bock. 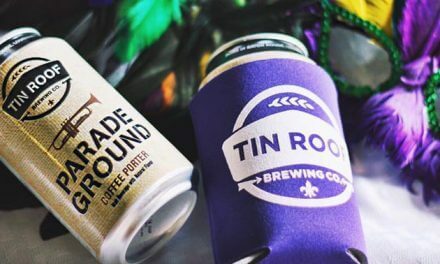 However, as Abita has grown from a regional treasure to a national brand, many of us who love craft beers have moved on to newer, shinier objects in our local bar or beer aisle. If so, it might be time to reacquaint yourself with an old favorite and, if you have the time and inclination, to make a pilgrimage to the source. I recently spent a weekend in Mandeville, on the North Shore of Lake Pontchartrain, for the Gulf Coast Half Marathon. One of the perks of running 13 miles on a Sunday morning (perhaps the only perk) is that as your reward you can unapologetically drink a number of beers while everyone else is getting ready for church. Unfortunately, at most races (like those in Mobile) your prize is usually a 95-calorie can of pale sugar water. Not in Mandeville, however, as we were greeted with the welcome sight of the beer truck at the finish, with not one, not two, not three, but four different styles of local beer to choose from, as the Abita brewery — the only place that their beers are crafted — is only a few miles up the road. I had a Big Easy IPA, a new saison IPA that is lighter than Abita’s Wrought Iron IPA, which it has been producing for years. It was a perfect beer after a long run on a hot day. I then had The Boot, a new German-style lager that is evidently only available in Louisiana. I found it too bitter, and was happy to leave it in Louisiana. (Photo | Abita Brewing Co.) Abita’s The Boot is brewed with white wheat, oats and barley, hopped with Hallertau Blanc and fermented with German Kolsch yeast. It’s available only in Louisiana. A planned visit for this trip was a tour of the brewery itself, but before that my party and I needed some vittles, so we went to the site of the original brewery in idyllic downtown Abita Springs, which was converted into a brewpub in 1994 when demand for Abita necessitated a move to a larger facility. The brewpub offers a fairly standard menu — burgers and sandwiches — with some Louisiana flavor mixed in, including muffulettas and jambalaya. The food was excellent, but of course everyone comes for the beer and it did not disappoint. 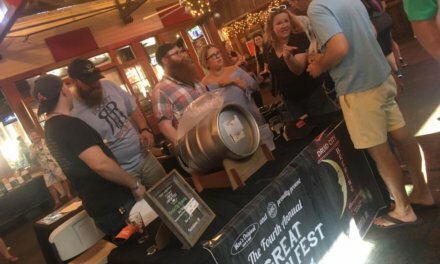 The menu included 16 different brews, and the server informed us that a special beer — VanillaDog — was also available that day. I was unable to pass up an Abita I couldn’t get anywhere else, especially a new take on my favorite, Turbodog. The VanillaDog was a little heavier than Turbodog, almost like a stout, and went great with my giant cheeseburger. I wanted another, but had to save room for the main event — the brewery tour itself. About two miles from the pub is the recently expanded brewery and visitor center. You can take a self-guided tour or, for five bucks a person (kids are free), get the 30-minute guided tour and four doubloons that you trade in for 4-ounce samples of the dozen beers they have on tap at the “tour bar” by the gift shop. If you don’t care to learn about the brewing process from the inside, or if the tour flight of four beers just isn’t enough for you, there is also an attached tap room where you can purchase pints, pitchers and growlers of a wide variety of Abita offerings for a real nice price ($4.50 pints, $12 pitchers). There are even diabetes-inducing brewed soft drinks, made from Louisiana sugar, for the kids and designated drivers. Abita Springs is about a two-hour drive from Mobile, exit 65 off Interstate 12 West. The Abita Brewery and Visitor Center is located at 166 Barbee Road in Covington, Louisiana, and open Sunday through Thursday, 11 a.m. to 7 p.m., and Friday and Saturday, 10 a.m. to 8 p.m. The Abita Brewpub is located at 72011 Holly St. in Abita Springs.